Liberal wackademia gave Islamists yet another platform to spew hate. The Gold Star dad who attacked candidate Trump at the DNC got a new platform at Duke last week. 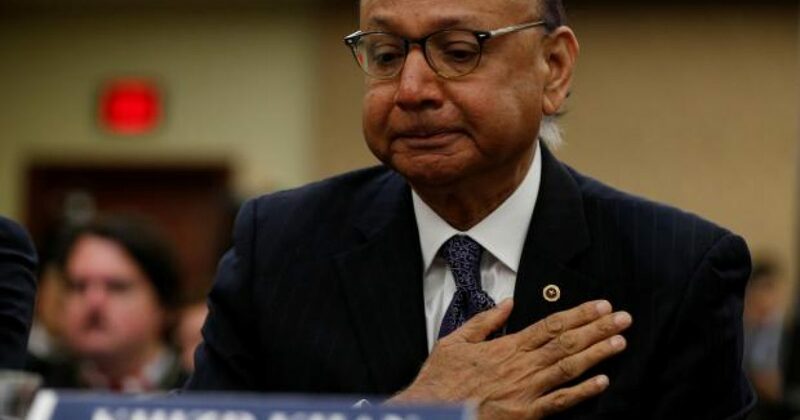 Khizr Khan is the Muslim immigration attorney made famous for demanding America let in more Muslims without vetting them at the DNC last summer. There’s no prohibition against foreign governments owning or operating regional centers or projects. Regional centers can be rented or sold without government oversight or approval. There’s no oversight of promoters who work overseas for the regional centers. There are no required background checks on anyone associated with a regional center. Visas are not properly scrutinized. Visas are pushed through despite security warnings. Files and applications lack basic and necessary information to monitor compliance. There’s no transparency on how funds are spent, who is paid, and what investors are told about the projects they invest in. So radical Islamic terrorists are potentially gaining entrance into America through a program that Islamist Khan represents and for whom he works. In addition, the EB5 program that Khan works for allows Middle Eastern operatives from Iran to attempt illegal entry into America. That Khan is the type of speaker Duke highlights, should not be surprising. Two other instances of Duke’s pro-Islamist, anti-conservative stance on campus environment deserve mention. First, a Muslim feminist was disinvited to speak at hypocritical Duke in 2015 after its Muslim Students Association (MSA) complained she was an Islamophobic sympathizer. She doesn’t support Sharia Law in America, so she must be Islamophobic? Apparently, Duke didn’t want to upset all their Islamo-fascist students who do want Sharia Law here. Nevertheless, the university later re-invited the speaker, citing a “misunderstanding.” However, the ever-tolerate MSA Islamists promptly boycotted her. Second, this federally funded, historically Methodist university allowed MSA Islamists to combine mosque and State by amplifying their Islamic weekly call-to-prayer from the campus’ chapel bell tower. Thankfully, the university reversed the decision prior to implementation.